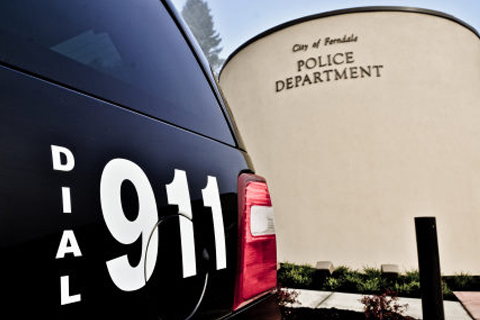 Ferndale Police Officers had received information regarding the possible sale of illegal drugs from a house in the 5600 block of 1st Ave, across the street from Central Elementary School. Ferndale Police worked in conjunction with the Whatcom County Gang and Drug Task Force (WCGDTF) to investigate this information. During the course of a three-month investigation, the WCGDTF made four undercover controlled purchases of heroin from Pauline Florindo. 3 of the 4 purchases were made at the residence on 1st Ave, the four was made away from the residence. A search warrant for the residence was applied for and granted. On May 23, 2018, members of the WCGDTF, the Whatcom County Sheriff’s Office, and the Ferndale Police Department served the search warrant. Pauline Florindo was located at the residence and taken into custody. During a search of the residence, detectives located numerous baggies of field-test positive heroin packaged for apparent resale. Along with the suspected heroin were scales and suspected notes of previous or current drug sales. In addition to the suspected heroin, methamphetamine and prescription drugs (clonazepam and oxycodone pills) were located. Probable cause existed for the arrest of Pauline Florindo for Manufacture/Delivery of a Controlled Substance – Heroin (x4), Possession of a Controlled Substance – Methamphetamine, Clonazepam, Oxycodone and Maintaining a Vehicle/Premises for Drug Trafficking. Pauline Florindo was transported and booked on the above charges. Due to the proximity of the elementary school, a high bail was requested.